Easter is almost here – and for those of you who celebrate this very sweet holiday, Fourerr has some surprises in store for you! Don’t go hunting for the right eggs for your virtual basket – send and give the gift of Easter cheer from the ease and comfort of your personal armchair! Thanks to the world wide web, gift giving has gotten a whole lot more creative and a whole lot less dependent on annoyances like shipping expenses and expected-by dates. Thanks to services like Fourerr, you can order up a custom gift without having to worry about anything but what your friend, niece, nephew, husband, wife, mum, boss (etc) thinks of it (so – shop wisely). 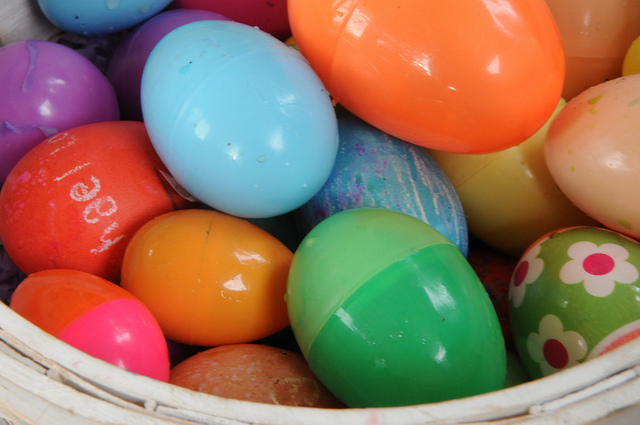 Today, the Fourerr blog is going to take a break from our usual business and productivity information to take you on a tour of some of Fourerr’s top choices to add to your virtual Easter basket – just don’t get a cavity (we hear even digital ones still hurt). Ask for some Easter-themed embellishments like bunny ears and carrots to really make this spectacular. Print it out – and hang it up at the office – or put in everyone’s individual Easter baskets! This talented Fourerr artist has a winning idea here – click on the above link to check out more and support his work! Who Stole My Easter Egg? I’m Callint The Cops! Uh-oh! Did someone steal an easter egg in your neighborhood? This idea is hilarious: hire a cop to mention your neighborhood specifically and describe an easter egg – then say he’s coming to find the culprit. End the video by having him mention a neighbor by name, such as: “Mrs. Pennywhistle, I’m looking at you next.” Upload the video on youtube and share it via a neighborhood group email! Yes, people on Fourerr sell their texting services! Why not hire someone to text your kids (under your supervision). Your kinds can ask fun questions like: “how many easter eggs will you bring me” and the texter can write back silly things like “ten”. Just agree upon the context of the conversation ahead of time! Show all of your social media buddies just how much you love Easter- with a custom-designed banner by one of Fourerr’s talented graphic designers! Is your child a talented artist? Bring out that ability with a digitally enhanced version of your little artists’ latest creation. Show support in their talent – and surprise them in a big way on Easter morning – all for just $4. Now, that’s a deal!